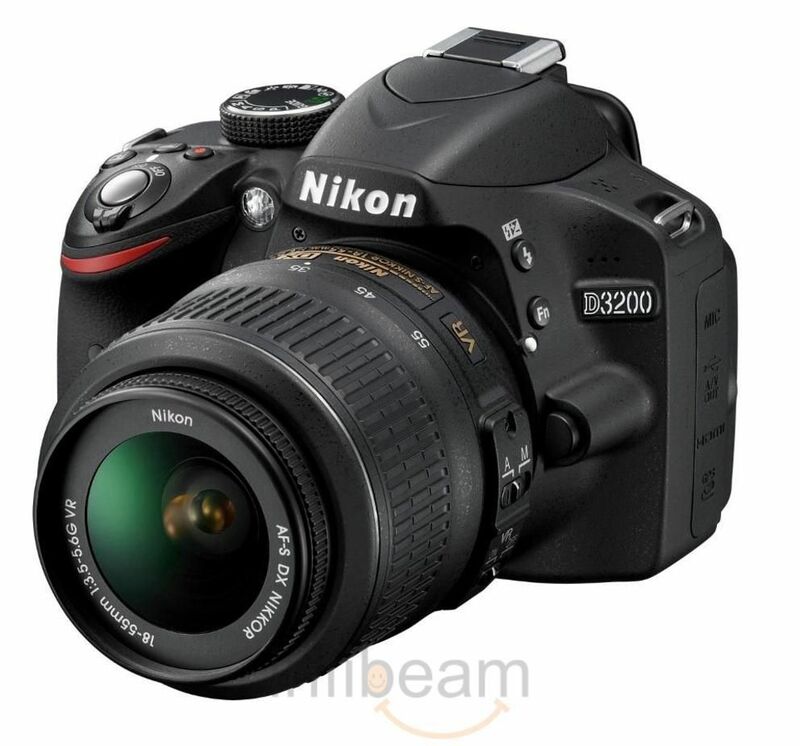 The highest performance among entry-class, the brand new Nikon D3200 is a dream come true for new users. 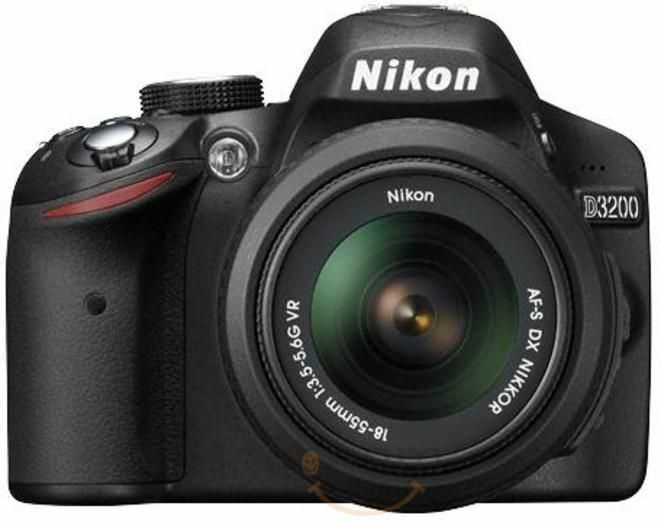 This compact lightweight camera utilizes the newly developed Nikon DX-format CMOS sensor and EXPEED 3 image-processing engine that deliver 24.2 megapixels high image quality and ISO sensitivity range from ISO 100 to 6400. Featuring 24.2 effective megapixels, the D3200's large image sensor faithfully reproduces the texture and brightness of subjects. It is also possible to emphasize subjects by beautifully blurring the background. With the high pixel count of 24.2 megapixels, a satisfactory resolution can be achieved even when trimmed images are printed. Guide Mode, that was highly evaluated with the D3100, has become easier to use. In Easy operation and Advanced operation modes, a description of each scene is displayed. For Advanced operation mode, options such as "Capture reds in sunsets" and "Reduce blur" are newly added. Compatible lenses Autofocus is available with AF-S and AF-I lenses. 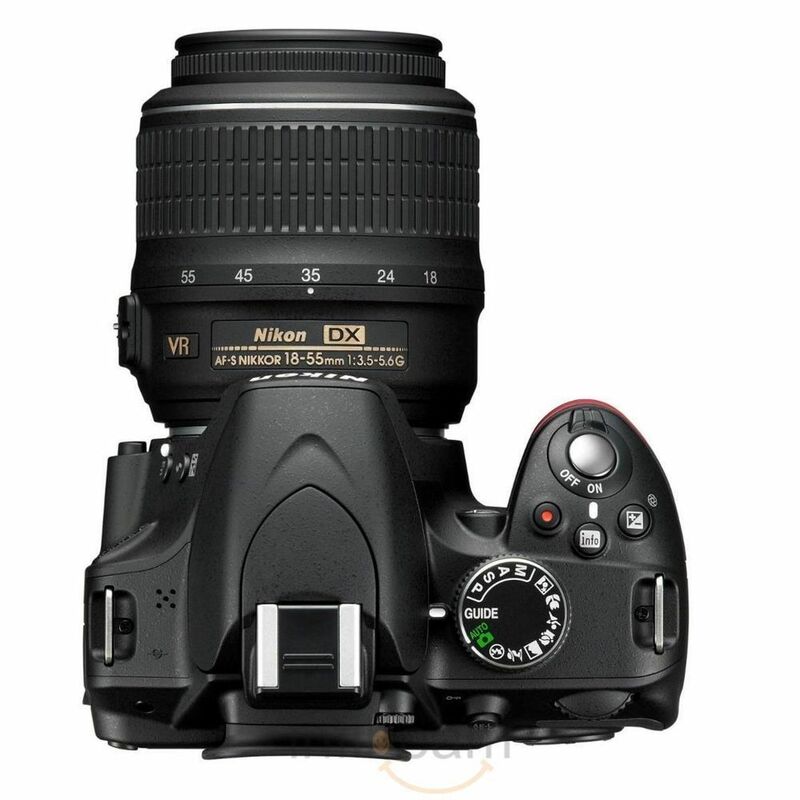 Autofocus is not available with other type G and D lenses, AF lenses (IX NIKKOR and lenses for the F3AF are not supported), and AI-P lenses. 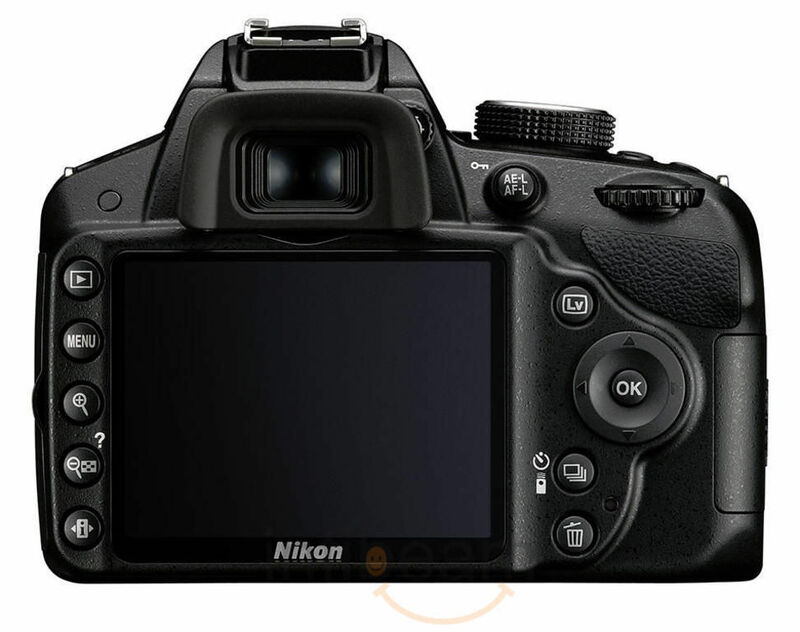 Non-CPU lenses can be used in mode M, but the camera exposure meter will not function.The electronic rangefinder can be used with lenses that have a maximum aperture of f/5.6 or faster. Frame size (pixels) and frame rate 1,920 x 1,080, 30 p (progressive)/25p/24p, (fine)high/normal1,280 x 720, 60p/50p, (fine)high/normal640 x 424, 30p/25p, (fine)high/normalFrame rates of 30p (actual frame rate 29.97 fps) and 60p (actual frame rate 59.94 fps) are available when NTSC is selected for video mode. 25p and 50p are available when PAL is selected for video mode. Actual frame rate when 24p is selected is 23.976 fps.